We take a different approach to Credit and Debit card payments. With our Payments-as-a-Service model, you benefit from low, wholesale transaction rates that save you more as you grow. With PayStand, your customers can use their Visa, MasterCard, and American Express, Discover, Diners Club or JCB cards, regardless of domestic/international or card present/not-present. We don't mark up our wholesale credit/debit card rates. By utilizing PayStand, you benefit from low rates that are normally reserved for large corporations with high transaction volumes. Credit/Debit card fees are unavoidable, but you can increase your profit margins by passing those fees on to your customers. By asking your customers to absorb the fees and giving them discounted payment options at checkout, you can lower your transaction costs to see the difference in your bottom line. PayStand gives you the ability to turn on 0% payment rails in your online checkout, allowing your customers to choose the best option for them and lowering your costs in the meantime. Turn on the eCheck rail to accept a direct bank account debit or even offer discounts for alternative payment methods that calculate your customer's savings within the checkout window. Keep your customers on your site with PayStand's inline checkout. No redirects or 3rd party logins to distract your customer from completing the sale. Customize your checkout with your logo and preferred payment methods. Enable monthly or annual payment options in your checkout so your customers can pay you over time. Recurring payments are a great way to lower the barrier to entry to your products and get paid on time, automatically. You've worked hard to build a brand and a trust relationship with your customers. As your payment provider, we let your branding take over so that your customer can quickly and confidently complete their purchase. 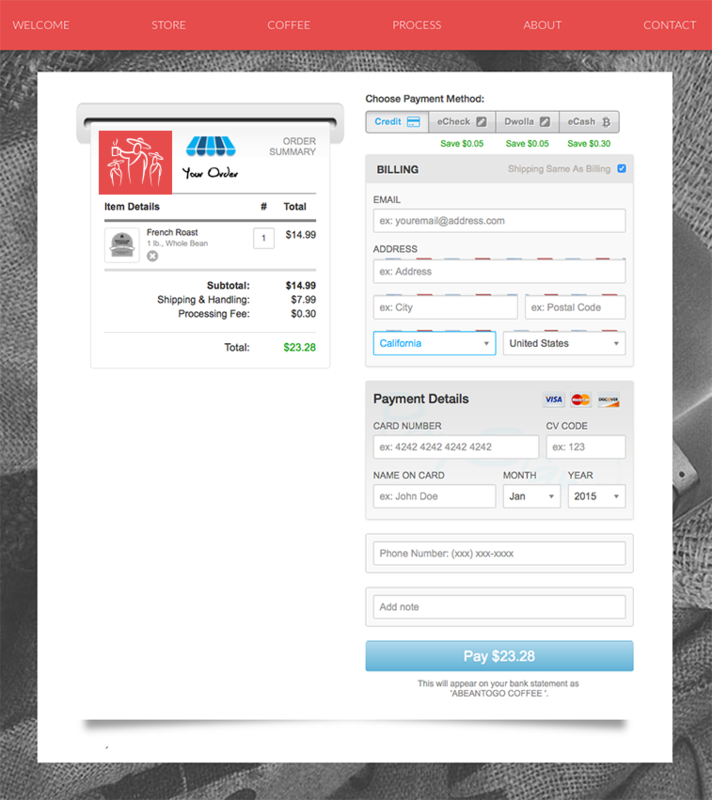 Customize your checkout with your logo and keep your customers on your site throughout the payment process.